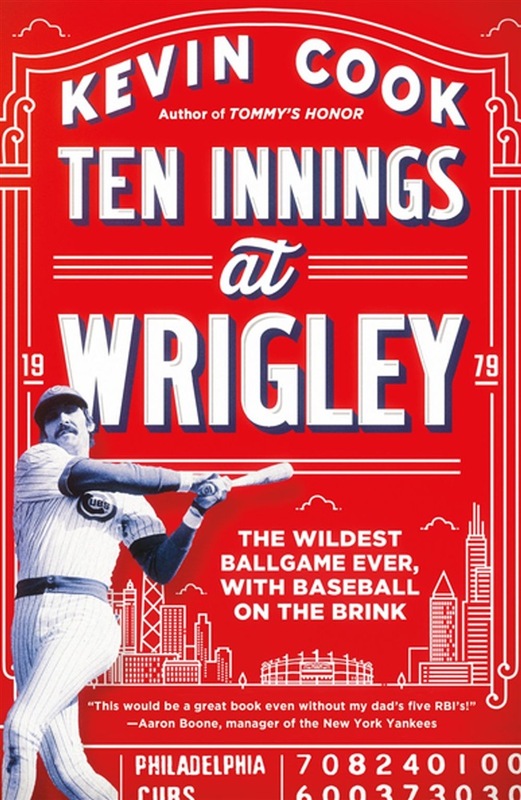 The dramatic story of a legendary 1979 slugfest between the Chicago Cubs and the Philadelphia Phillies, full of runs, hits, and subplots, at the tipping point of a new era in baseball history It was a Thursday at Chicago’s Wrigley Field, mostly sunny with the wind blowing out. Nobody expected an afternoon game between the Philadelphia Phillies and Chicago Cubs on May 17, 1979, to be much more than a lazy early-season contest matching two teams heading in opposite directions—the first-place Phillies and the Cubs, those lovable losers—until they combined for thirteen runs in the first inning. “The craziest game ever,” one player called it. “And then the second inning started.” Ten Innings at Wrigley is Kevin Cook’s vivid account of a game that could only have happened at this ballpark, in this era, with this colorful cast of heroes and heels: Hall of Famers Mike Schmidt and Bruce Sutter, surly slugger Dave Kingman, hustler Pete Rose, unlucky Bill Buckner, scarred Vietnam vet Garry Maddox, troubled relief pitcher Donnie Moore, clubhouse jester Tug McGraw, and two managers pulling out what was left of their hair. It was the highest-scoring ballgame in a century, and much more than that. Bringing to life the run-up and aftermath of a contest The New York Times called “the wildest in modern history,” Cook reveals the human stories behind the game—and how money, muscles and modern statistics were about to change baseball forever. 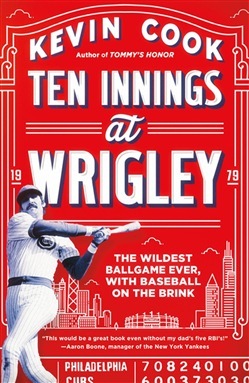 Acquista Ten Innings at Wrigley in Epub: dopo aver letto l’ebook Ten Innings at Wrigley di Kevin Cook ti invitiamo a lasciarci una Recensione qui sotto: sarà utile agli utenti che non abbiano ancora letto questo libro e che vogliano avere delle opinioni altrui. L’opinione su di un libro è molto soggettiva e per questo leggere eventuali recensioni negative non ci dovrà frenare dall’acquisto, anzi dovrà spingerci ad acquistare il libro in fretta per poter dire la nostra ed eventualmente smentire quanto commentato da altri, contribuendo ad arricchire più possibile i commenti e dare sempre più spunti di confronto al pubblico online.